This adorable boy likes to stretch himself out very nicely. 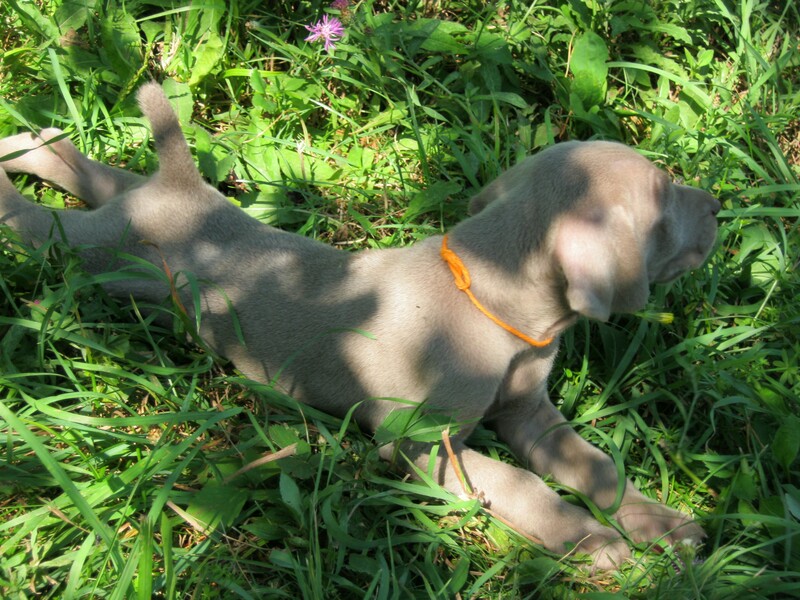 Just like the smaller boys from past Lila litters, he will mature within AKC Standard. 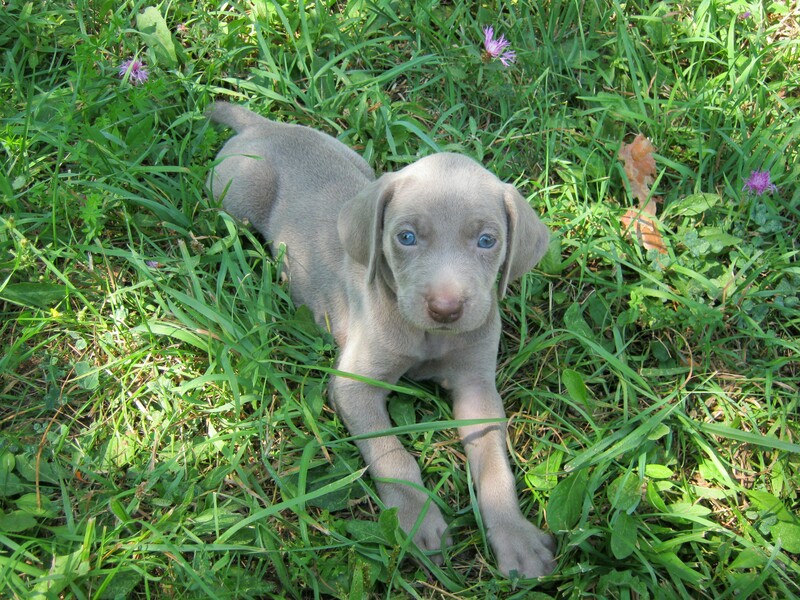 On top of being really cute, his conformation is super! 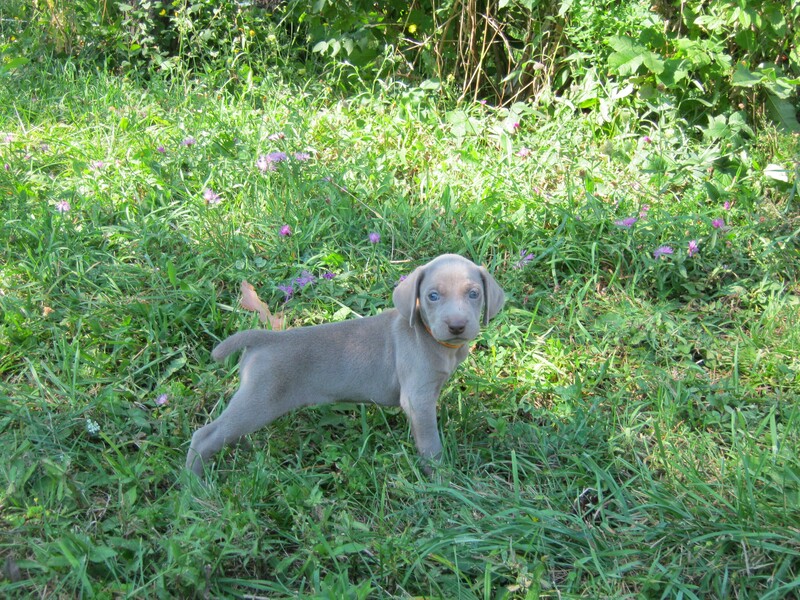 This fun guy is light Gray with no white on his chest just like his parents, and every puppy Lila has produced.